Have you ever found yourself looking blankly at the computer screen, wondering how to begin an email? Yes, we have too because we know just how important that first impression can be. How you begin an email can make or break the relationship with your reader. You don’t want to put them off by being over-formal, but you don’t want to be over-friendly either. If you don’t know the person you’re writing to, it can be a real challenge to pick the right words. Here at Clear Ink, we’ve seen too many clients turn off potential customers by striking a bum note at the start of an email. How you begin an email says a lot about who you are, and it will shape the reader’s perception of you, she says. “Make sure to make the right first impression. You don’t want to be too informal. ‘Hey’ is definitely too casual for a business email but, at the same time, you don’t want to build a brick wall of formality by writing something like ‘Dear sir or madam’,” Margaret says. Confused? There’s no need to be. The next time you find yourself hesitating at your inbox, just consult the Clear Ink guide to email greetings, below. Hi [name]: Even if you don’t know a person, this is a failsafe way of starting an email. If you want to sound a little more formal, you can say Hi [Mr/Mrs surname]. Hey [name] or simply ‘Hey’: Far too casual for business emails. It’s fine for friends but, be warned, it might even annoy them. This is a good start. It’s informal but not overly so. Avoid in an email. It’s too formal and can be off-putting. Don’t use under any circumstances. It’s far too formal, much too vague – you’re admitting you don’t know who you’re writing to – and too easy for the reader to ignore. Too abrupt and general. The reader is very likely to delete it. Once you’ve got the greeting right, don’t make a common mistake with the body of the email. 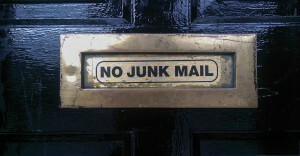 Many people think the rules for letters apply to emails. They don’t. Letters are very formal and have a set format. Emails are more like a short conversation and the tone is more informal. Posted on September 26, 2016 by ClearInk Manager.